The rise in live streaming is adding new life to areas of work that people would normally consider boring to watch. The adage that watching people play video games would never be a thing because, “who would want to watch someone play video games when you can do it yourself,” is now completely false. This is a myth that has long been put to bed. People today watch gamers online 24/7 and just like talent scouts look online for the next internet superstar, there are gaming companies that are watching live streams of gamers in order to find the next big gamer to come and compete at their next big tournament. The rise of coding with the project of Hour of Code has created some new business ventures that are capitalizing on bringing two areas of interest together, live streaming and coding. This new industry is posed to create a whole new way of learning how to code and what better way to learn than to watch someone code. Twitch currently is the model in which most live streaming services look towards to understand how the live streaming community works but also how the business model works. Although live streaming on phones is still popular, screen capture still provides more for viewers to take in. Phone streaming only provides in-the-moment situations, whereas, screen capture allows more actions to be taken that can be planned ahead before starting. This is a concern that many people have who are coders and have been doing it for years. The idea here is that if you have been coding as a professional you are completely aware that it can get boring and tedious very quickly after awhile but for someone who is just learning they can watch how all the pieces fit together. This right there is the appeal to this new market. The first time you learn about something it is all very interesting and new so everything you see is something to learn about. The same thing is happening when you watch people live stream what they are good at. This is the reason Twitch and gaming are so popular because gamers who are just starting or want to be better at a game can watch and learn how some of the best players play. The same goes for coding. Infact, Twitch does offer a category where you can watch programmers code and go back and look at all their videos. The category they created is for game developers. Many coders have even built up an audience by doing this just like gamers and youtubers have. The great part about watching coders code is that you also learn about what websites they are using in order to figure out how to code better or where they pull lines of code from. There are many websites that coders use as databases or libraries so they don’t have to keep memorizing lines of code all the time and that is also the appeal to why this new industry is seeing an up rise in users. The author of this blog has already created their own account in order to better learn how to program. The hard part about this that many people might be concerned that you are giving away something secret or special that you don’t want anyone to know about. This is a strong case where you might be building an app or program that you don’t want anyone finding out about. There are plenty of coders out there who do code for fun but now it is a matter of finding ones willing to live stream the projects they are working on for the public. This is part of the reason it is hard to get quality programmers to contribute to the site. Developers, programmers, coders (they are all the same) are paid very well for their time and for many when they are not coding they enjoy relaxing doing other things. There are coders who enjoy being at their computer all the time but getting them to share online can also be a challenge so the first websites are looking to find incentives. YouTube already provides the option of allowing users to turn their channel into a paid channel but those videos are not live streamed so you can not give instant feedback or ask questions as you are watching. YouTube does provide the option for streaming so that is another option to use since YouTube is more well known in the world. YouTube also just announced that they released an app, YouTube Gaming, that lets gamers stream their gaming content with a focus on live streaming. You can watch on your computer as well but this just demonstrates the growing demand for live streaming services. The two websites to bookmark and sign up for are LiveCoding.tv and WatchPeopleCode.com. Here you will know that the audience that is watching you is dedicated to learning how to code in order to improve their skills. Users are able to ask questions and, depending on the channel, get full explanations on why they set up their code in a certain way. There are some channels where all you are watching is a live stream of people working with music playing the whole time. This is done for more advanced users who are interested in learning how to do things a little faster. 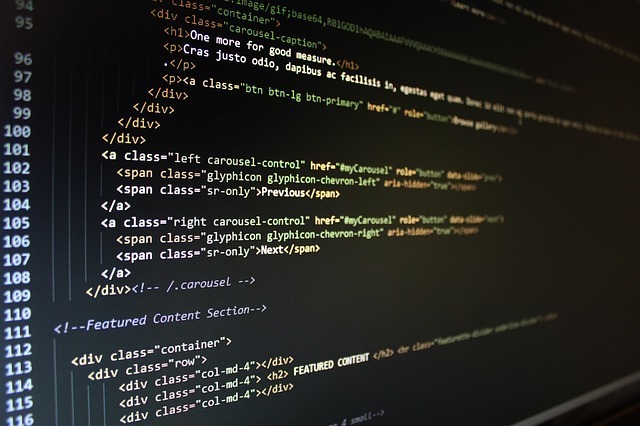 LiveCoding.TV provides a live stream on their front page of the website in order for first-time viewers to understand how they can benefit from such a website. In many cases there is a capture screen of the code itself and the programmer in the corner talking about what they are doing. Livecoding lets you set the parameters of your profile after you sign up in order to find exactly what it is you are looking for. You are able to say whether you plan to watch or stream and create your username. Whether or not you plan to ever stream is up to the user but you have the option at any time just by clicking on your username after signing up. After you have created your account you can then filter their large database of videos to find the ones you are looking for. For example if you are a beginner learning HTML then you change your difficulty to beginner and then select from the category list HTML. On the side bar you can even find the top channels for the language you want to learn from. This helps you narrow down your search by finding the videos with the most views. WatchPeopleCode.com allows people to sign up with their Reddit account and find the videos they are looking for. Their categories are not as extensive as Livecoding but they encourage anyone to post anything to do with live coding. The site is connected to Reddit subcategory /r/WatchPeopleCode. The benefits are huge when you think about how many people are watching your live stream or going back and seeing how you created some of your past projects. Some of the coders who stream their work say they prefer Livecoding over Twitch because they know that all the people watching on Livecoding are there to learn how to improve their coding skills, whereas, Twitch’s community is made up of mostly gamers so you get a lot of people trolling on coding streams just to get attention. This means you can create more meaningful conversations about people who really want to learn on Livecoding. The other benefit to all the live streamed videos is that you build a library of all your work for companies to see. Right now the landscape is fairly new so making a name for yourself is easy in a new field but as more and more coders sign up the quality of the session will have to improve if they want to grab the attention of a company like Google or Facebook. This means that coders will need to have better communication skills as they are streaming their videos and answering questions. I have always said that you have no idea who is checking our your online content and you might one-day get that person who can change your life so the better quality you produce the better your chances are of getting someone’s attention for a high paying job. Kids and teens who use a site like this to teach others how to program can put this on their college application to show how they helped people learn how to code better. Young digital natives are able to pick up on the nuances better and faster so if they can create streaming sessions for community members then they will be able to demonstrate to colleges and future employers that they have the technical and communication skills to do their job. The ability to translate and teach online is a skill that is also growing in demand because it demonstrates that you know how to set everything up, structure your sessions, and communicate clearly. Coders who create a name for themselves on these kind of websites are in a prime position to be able to offer their services one-on-one. One of the challenges that websites like these must face is monetizing their services. One option the founders, Jamie Green and Michael Garbade, had was to let users pay for 1-on-1 sessions with their favorite streamer and for streamers to offer more advanced sessions for private groups. The founders even talked about letting streamers provide help with school homework at any level. For coders looking to make a little extra cash on the side and build a name for themselves this a great opportunity to sign up for now. The world of watching coders code live is a new one so it will be interesting to see where these websites end up in a year from now. They could possible be the next big thing to happen for Hour of Code because as it turns out not every school that says they are for coding is actually keeping their word about it. Infact, in a survey conducted by Gallup they found that most schools don’t feel that parents and students are interested in learning to code. Infact the conflicting problem is that most schools don’t feel the need to prioritize computer science because of standardized testing. This entry was posted in Education, Technology and tagged android watch, benefits to coding online, code academy learning, coding, entrepreneurs, hour of code, jamie green, learn by watching, learn coding, learn coding online, learn how to code, learn programming, live stream services, live stream your work, live streaming, livecoding, livestreaming, michael garbade, private coding sessions, programming, ustream, watch coders code, watching programmers online, younow, youtube gaming app, youtube streaming on August 27, 2015 by Chris. Chine is the only country in the world to have more self-made female billionaires than any other country. That is saying a lot about a country that controls everything their citizens do and say. In any case China pushed hard on gender equality in the uprising of capitalism so many women took their chance on the opportunities given. The process of being a self-made anything is one of hard-work, strict discipline, and focus-driven mindset on what one hopes to accomplish. There are many cases where people inherit money and waste their time shopping and just playing around. Women in China had to prove their talent and worth to anyone they worked for in the beginning. In this case, Zhou Qunfei, made the decision to drop out of school at the age of 16 to move in with her uncle in hopes of finding a better job. Her school work and study habits were top-notch and many of her past teachers remembered the work she turned in as very talented. Her travels would lead her to find a job in a watch factory making lenses, which entailed working all day shifts that would many times end well past midnight. It was those conditions that made her quit her job but before doing so pushed her to write a letter to her boss. It was this action that brought the attention of the horrible work conditions to his attention that made him offer her a job promotion if she stayed. This would be the start of many promotions she got in the coming years. People in power have control over things and people. They are not always able to be everywhere so when they meet people who inform them on things that are happening around them they gain even more power and control. Influences are always looking to meet people who can help them learn more about what is happening around them. They want to meet people who are very observant because it means they can learn more from them. Ms. Zhou explained in her letter the terrible conditions and long work hours but she did it in a way that was respectful of who she was talking to. It was enough to get his attention and start her on a path that would lead to high achieving success. During her years gaining promotions and learning the whole process of lens making she was saving up money from all her new jobs that paid more. It only took her three years to save up enough money to give her the opportunity to quit her job and start her own company with some of her family members. The important part about is that she had help from her family to manage different parts of her company. She was not doing everything on her own but she did make it a point to learn how everything worked, something she picked up on during her years before in her old jobs. Ms. Zhou made sure she knew how to use and operate every machine she ordered in case something went wrong but also so she knew the limitations of the machines. This action enabled her to become the go-to person of everyone she worked with because if something broke down she would be the first to know so it can get fixed right away. She made herself the focal point of her business operation. This behavior would label her as obsessive about her work but also how she gets things done. Anytime a machine is down the less lens get made. In order to have more control she chose to have her apartment connected to her office so that she had access to the factory floor all the time. Ms. Zhou learned everything there was to know about how to make glass lenses for watches so she knew all the physical properties of glass and what could be done with it. That is why when she got a call from a phone company asking if she could help make glass screens for phones she jumped at the opportunity, something they offered to help her with. It was this action that connected her to a whole other market that would require her to hire more staff, build more factories and take on more clients. The world of mobile phones still centered around plastic screens but when many phone makers started switching over to scratch-resistant screens with tough glass that is when manufacturing of glass lenses changed. That is when Apple contacted Ms. Zhou and her whole business of operation changed. She went from a regular glass lens maker to the supplier of the top computer company in the world. The demand for high-quality thin glass skyrocketed globally making it hard to find suppliers who were experts in this field. Luckily for Ms. Zhou she was in the right place at the right time. Ms. Zhou used her time to learn everything she could about her glass making business and this got the attention of many phone makers. No knows when something big will happen in the market but for those that are great at what they do and something big happens they will be the first ones called on to do something. She was able to grab the attention of the top tech companies because everyone was switching to tough glass and there were not many glass makers who had the knowledge of how to do that. It was the help of the tech companies that taught her the whole process of what it was they were looking for that propelled her even further. Ms. Zhou, after going public with her company, has spoken at many investor meetings. Investors worried that more and more competitors are entering the market making it harder for her company to stay ahead. She answered a few questions but it was how she interacted with them at her production facilities that showed how enthusiastic she was about what it is she does. She showed a passion for the kind of work she creates but knows that attention to detail is why her two top clients, Apple and Samsung, picked her to work with. She knows every step of the process because she designed the whole operation. Now she checks on the same factory workers at every level, including the bottom where she started, to make sure nothing goes wrong. Many investors are content with how she runs things because they know she is always there checking on everything and looking for betters ways to innovate. The reason Ms. Zhou knew what she was doing was because she had three years after writing her letter of resignation to learn how the whole factory process worked. She gained enough experience to understand what she needed to buy first in order to get started. Once she saved enough money then she could quit her job and start her own business. Many people say they want to start their own business but do not know the first step to make. This is where many people get scared and don’t try. You need to put yourself deep into the industry you want to work in in order to understand what it takes to get going. Ms. Zhou was not afraid of anything because she had family support and working knowledge to know what to do every step of the way. The company she started, Lens Technology, has an estimated worth of $8 billion. The process that many self-made individuals have is one of constant iterating – starting something and going back if it doesn’t work and starting over again until they get it right. They had a relentless pursuit to do things on their own terms in order to get started. They are constantly learning and trying to innovate better. If you plan on success then these are a few lessons to help you out before you get started. This entry was posted in Business and tagged amaznig selfies, becoming a billionaire, billionaire, chinese billionaire, creating your first startup, entrepreneur, glass making, how to start a business, Lens Technology, life saving app, rich entrepreneurs, screens for phones, self-made billionaire, starting a business, Zhou Qunfei on August 26, 2015 by Chris.